Generation Peace Academy: GPA just completed our first workshop all together since Kick-Off finished in September! 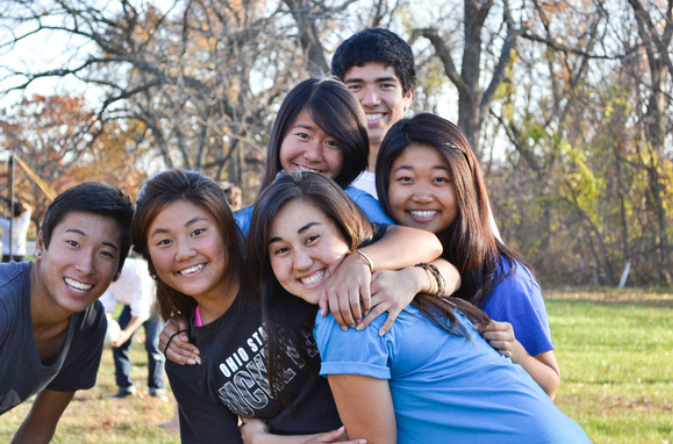 From November 9th to November 13th, all GPA participants, team leaders, and staff eagerly gathered at the Tall Oaks Conference Center in Linwood, Kansas to reflect and share upon their previous fundraising condition, and recharge to prepare for Christmas Competition leading into winter break. Upon arrival on November 9th evening, all the teams enthusiastically greeted each other and spent time to quickly catch up on how everyone was doing. We also received a wonderful, although brief, visit from family members and GPA alumni of the nearby communities in Kansas and Nebraska. The first evening was spent on an orientation as to the purpose of the workshop, and then closing the day together early enough to allow for everyone to catch up on some sleep. The first full day of the workshop was centered on reflection of the fundraising experience, and spending time together as a group. We received guidance from Nadya Kamiyama on reflection, and an ample amount of reflection time so as to properly process all the experiences Heavenly Parent and True Parents have given to us during the past few weeks. The afternoon was spent playing in a volleyball tournament, competing against teams from the various nations! It was a great opportunity to spend time outdoors, while the weather was still good, and to cheer each other on in good fun. The evening was truly eventful. After hearing beautiful testimonies from the members on some of their deepest fundraising experiences, we heard about the countries GPA will be serving during our International Service portion of the year. Each member was able to submit a form indicating their choices between the 4 countries of Peru, Panama, Dominican Republic, and the Philippines after hearing presentations on what projects would be done in which countries. After which, we had a veritable early Christmas party with a lot of gift giving! T-shirts were given to each member of the Blue Nation for winning the competition during the Kick-Off workshop, and cheesecake was the prize for the 3 top teams of the volleyball tournament. And then the highlight was receiving the official GPA hoodies! After an eventful yet relaxing and reflective first full day, the second full day of the workshop was dedicated towards education. We heard from the GPA Director, Roland Platt, who gave a presentation entitled the “Cultural War”, which addresses the serious issues America faces today, and how being aware of the root cause can better prepare us to fight it. We also heard from our IW Aunt Christine Froehlich on how to build and develop our own personal foundation of faith and foundation of substance through our effort on GPA and our daily actions. Through the building of our foundation of faith and substance, we can truly enjoy a relationship with True Parents.